The modern world culture may have been in a frenzy over following the relationship of Angelina Jolie and Brad Pitt (when the relationship was going well), but there were other famous and powerful couples that also captivated us in the media. 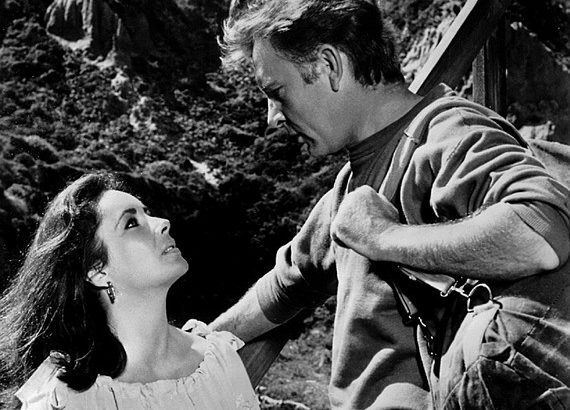 Film legends Richard Burton and Elizabeth Taylor were probably one of the first relationships we followed through the media. Their dramatic, scandal-filled romance played out before our eyes through media coverage as the couple fell in love with Puerto Vallarta while falling in love with each other. The publicity that their romance brought to Puerto Vallarta made a once quiet little town a thriving tourist spot. When Burton and Taylor met on the set of Cleopatra, these icons saw that they had something special even though they were both still married to other people at the time. When Burton got the acting deal in The Night of the Iguana by director John Huston, he had to go to Puerto Vallarta. He saw to it that Taylor was with him. During the filming Burton took a boat each day from Puerto Vallarta to the movie set in Mismaloya, a location south of Puerto Vallarta and near the landmark called Los Arcos. Burton seemed to love the view of downtown Puerto Vallarta and Banderas Bay when he built a home in Puerto Vallarta’s Gringo Gulch neighborhood. Burton felt that renting the home across the street, Casa Kimberley, seemed perfect for Taylor. Burton had the Lover’s Arch built, which was a bridge that connected his property to hers that is still there now. This bridge allowed them to visit each other while maintaining their independence in a way that was private. It also provided a fast way to depart whenever they had their epic arguments. The passion they had for each other soon spilled over to a love for Puerto Vallarta. It started with Taylor’s love for Casa Kimberley, which was a gift from Burton for her birthday, and the influence of their romance conducted within the seaside town changed the once quiet town into a popular travel destination. Even after their second marriage ended in divorce, their passion for Puerto Vallarta continued and since then the whole of Banderas Bay has become one of the world’s most sought after vacation and residential spots.